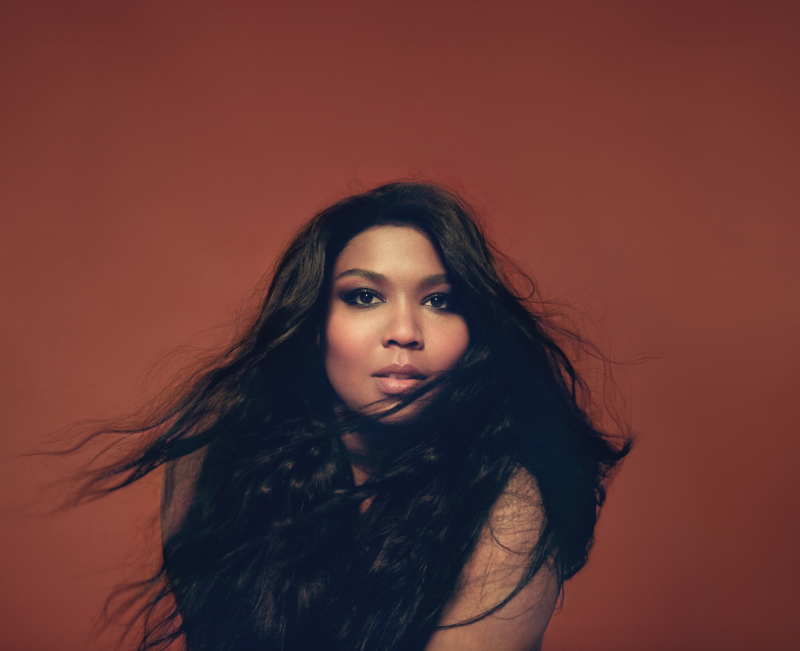 Home/Blogs, Human Rights, LGBT History/Happy LGBT History Month! 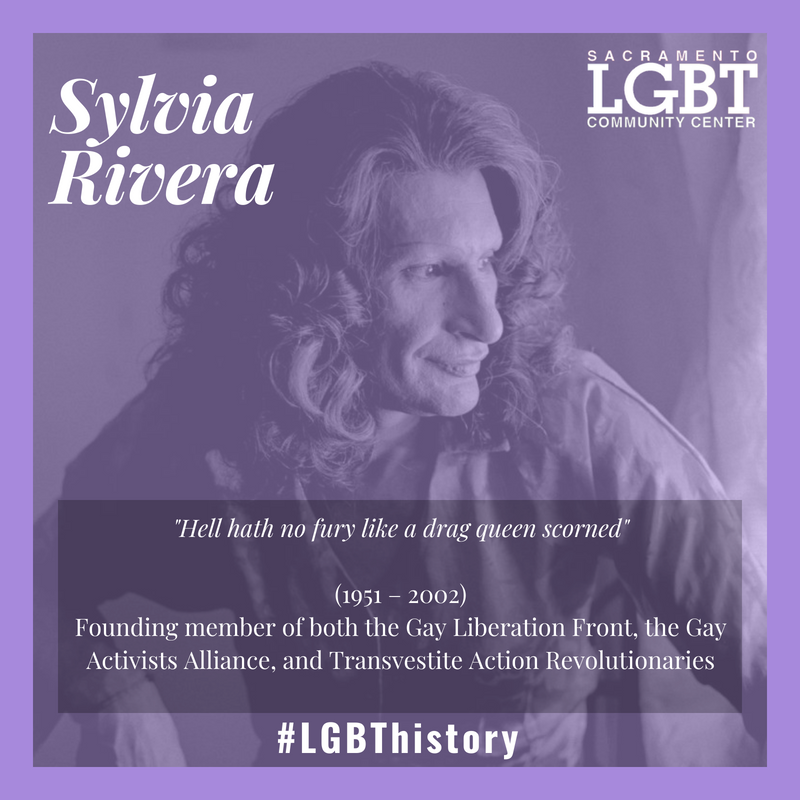 (July 2, 1951 – February 19, 2002) Sylvia Rivera was an American gay liberation and transgender activist and self-identified drag queen and founding member of both the Gay Liberation Front and the Gay Activists Alliance. 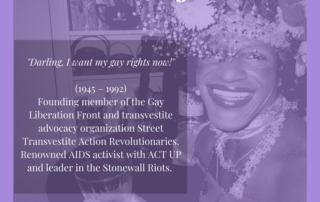 Along with Marsha P. Johnson, Rivera co-founded the Street Transvestite Action Revolutionaries (STAR), a group dedicated to helping homeless young drag queens and trans women of color. Rivera’s activism began during the Civil Rights Movement and continued through the antiwar movement during the Vietnam war (mid-1960s) and second-wave feminist movements (mid-1960’s). Rivera was a regular patron of the Stonewall Inn and was present during the Stonewall Riots in 1969, when gay men, lesbians, bisexual people, drag queens, street people and trans people rose up against what started as a routine raid by the police. Rivera also became involved in Puerto Rican and African American youth activism, particularly with the Young Lords and Black Panthers. 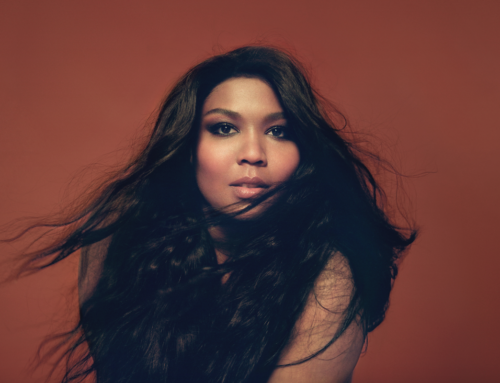 At different times in her life, Rivera battled substance abuse and lived on the streets, largely in the gay homeless community at the Christopher Street docks. 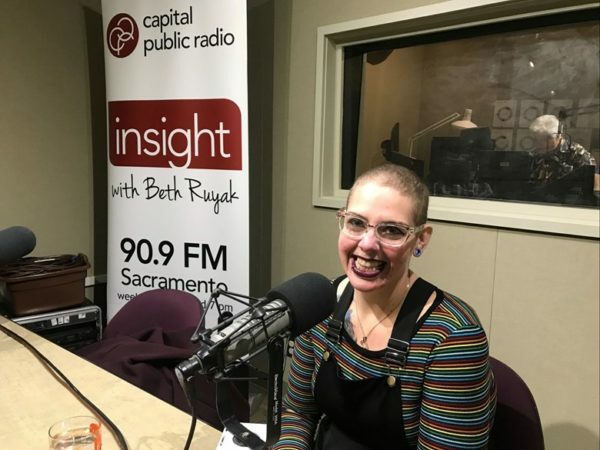 Her experiences made her more focused on advocacy for those who, in her view, mainstream society and the assimilationist sectors of the lesbian, gay, bisexual, and transgender (LGBT) communities were leaving behind. 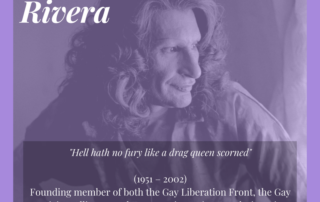 If you are looking to support the work of Sylvia Rivera, check out the Sylvia Rivera Law Project. (August 24, 1945 – July 6, 1992) Marsha P. Johnson was an American gay liberation activist and self-identified drag queen. Known as an outspoken advocate for gay rights, Johnson was one of the prominent figures in the Stonewall uprising of 1969. A founding member of the Gay Liberation Front, Johnson co-founded the gay and transvestite advocacy organization S.T.A.R. (Street Transvestite Action Revolutionaries), alongside Sylvia Rivera. A popular figure in New York City’s gay and art scene, Johnson modeled for Andy Warhol, and performed onstage with the drag performance troupe, Hot Peaches. Known for decades as a welcoming presence in the streets of Greenwich Village, Johnson was known as the “mayor of Christopher Street”. 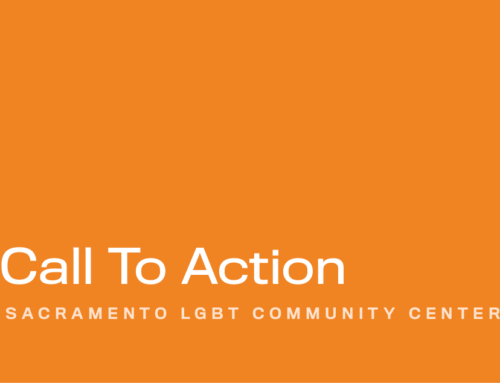 From 1987 through 1992, Johnson was an AIDS activist with ACT UP. 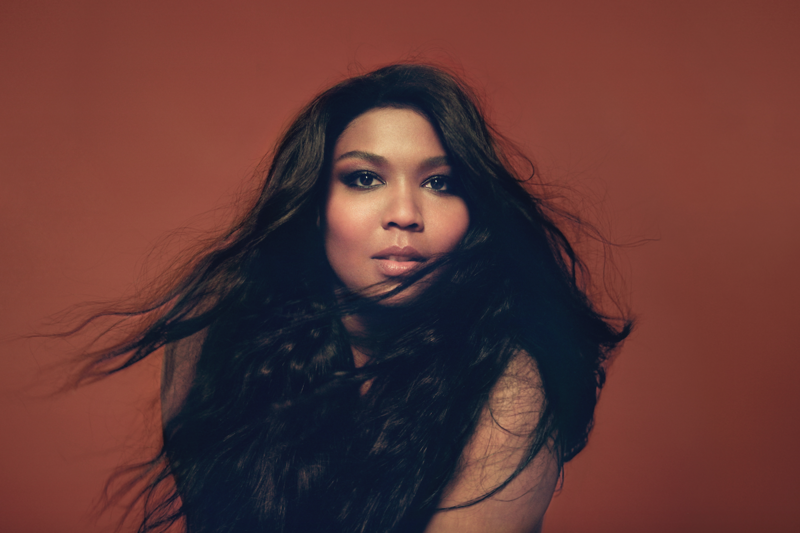 Johnson said she was one of the first drag queens to go to the Stonewall Inn, after they began allowing women and drag queens inside; it was previously a bar for only gay men. On the early morning hours of June 28, 1969, the Stonewall uprising occurred. If you are interested in supporting Marsha P. Johnsons’ work, look into the Marsha P. Johnson Institute. 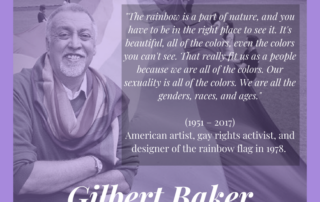 (June 2, 1951 – March 31, 2017) Gilbert Baker was an American artist, gay rights activist, and designer of the rainbow flag (1978). In 2015, the Museum of Modern Art ranked the rainbow flag as an internationally recognized symbol as important as the recycling symbol. Baker served in the United States Army from 1970 to 1972. He was stationed as a medic in San Francisco at the beginning of the gay rights movement, and lived there as an openly gay man. After his honorable discharge from the military, he worked on the first marijuana legalization initiative California Proposition 19 (1972), and was taught to sew by his fellow activist Mary Dunn. He used his skill to create banners for gay-rights and anti-war protest marches. It was during this time that he met and became friends with Harvey Milk. He also joined the gay drag activist group Sisters of Perpetual Indulgence. Baker first created the Rainbow Flag with a collective in 1978. He refused to trademark it, seeing it as a symbol that was for the LGBT community. Baker designed visual displays for Dianne Feinstein, the Premier of China, the presidents of France, Venezuela, and the Philippines, the King of Spain, and many others. He also designed creations for numerous civic events and San Francisco Gay Pride. In 1984, he designed flags for the Democratic National Convention. In 2003, to commemorate the Rainbow Flag’s 25th anniversary, Baker created a Rainbow Flag that stretched from the Gulf of Mexico to the Atlantic Ocean in Key West. After the commemoration, he sent sections of this flag to more than 100 cities around the world. 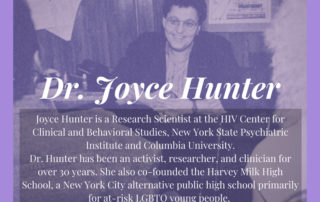 Joyce Hunter is a Research Scientist at the HIV Center for Clinical and Behavioral Studies, New York State Psychiatric Institute and Columbia University and a member of the Global Community Core. 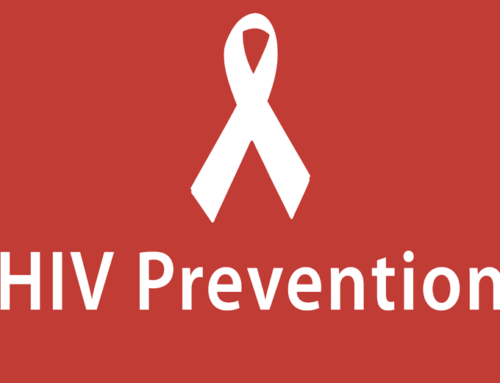 She is also Principal Investigator of the Working It Out Project, a community-based HIV prevention research project for gay, lesbian, and bisexual adolescents that utilizes an award-winning video and an intervention curriculum. 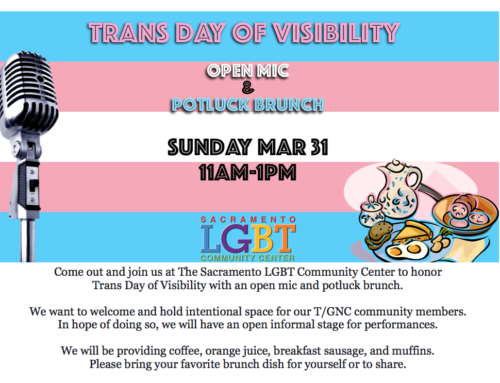 This program, which Dr. Hunter co-developed with community members, addresses coming out, stigma, development of coping strategies to address stressful life events, and personal identity development. Dr. Hunter has been an activist, researcher, and clinician for over 30 years. As a founding member of the Hetrick-Martin Institute and Director and Clinical Supervisor of Social Work Services there, she co-developed a counseling program, drop-in center, and outreach project to street and homeless youth. The Harvey Milk High School, a New York City alternative public high school primarily for at-risk LGBTQ young people, was co-founded by Joyce Hunter and Steve Ashkinazy. 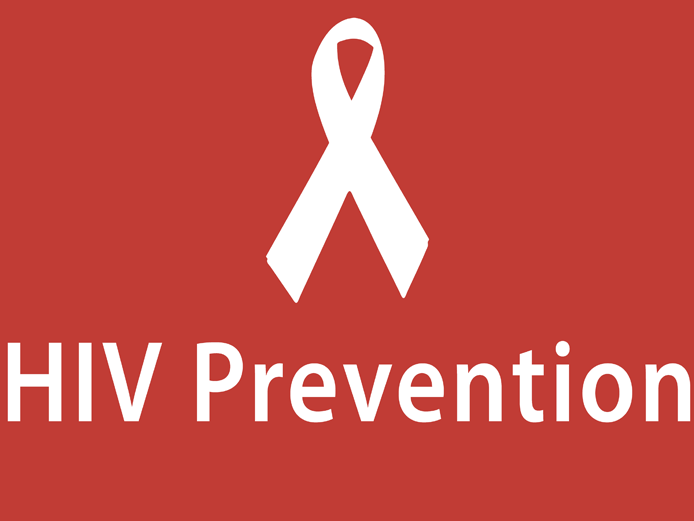 Dr. Hunter has conducted clinical training for professionals and graduate students in HIV/AIDS prevention for women, youth, and families, combating homophobia for LGBT youth, reduction of high HIV/STD risk behaviors, best health practices for at-risk and HIV-positive youth, and needs of street, runaway, and homeless youth, working with racially/culturally diverse populations and families. Dr. Hunter was a former member of the Governing Council of the International AIDS Society (IAS), and is a founder of the IAS Women’s Caucus. She was previously Co-Chair of Global AIDS Action Network (GAAN), and President of the National Lesbian and Gay Health Association and Conference Co-Chair of its annual conferences. 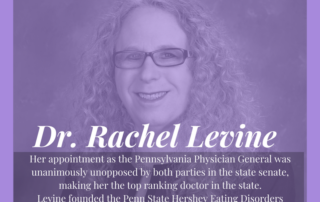 Dr. Rachel Levine’s appointment as the Pennsylvania Physician General was unanimously unopposed by both parties in the state senate. Levine is one of very few out transgender government officials. The physician already had a storied career in medicine before becoming the state’s highest ranking doctor: first she was as a pediatrician, then a professor and international lecturer. Levine founded the Penn State Hershey Eating Disorders Program for adolescents and adults and has long focused on the connection between mental and physical health. Now, as the Physician General of Pennsylvania, Levine is attacking the state’s opioid crisis. Shortly after taking office in 2015, she signed a statewide prescription of sorts that allows pharmacies to dispense the life-saving overdose drug naloxone to anyone that asks for it. But aside from her public health policies, Levine made history by becoming one of the nation’s highest-ranking openly trans officials when she was appointed by Gov. Tom Wolf in 2015. And her confirmation by the state’s senate Republicans was particularly meaningful. “One of the things I’m most proud of is that I was unanimously confirmed by the senate,” Levine told NBC Out, adding that she met with nearly all of the senators personally. “[They] judged me strictly on my professional qualifications.” Levine launched the Penn State Hershey Eating Disorders Program to combat a growing problem among the state’s youth. 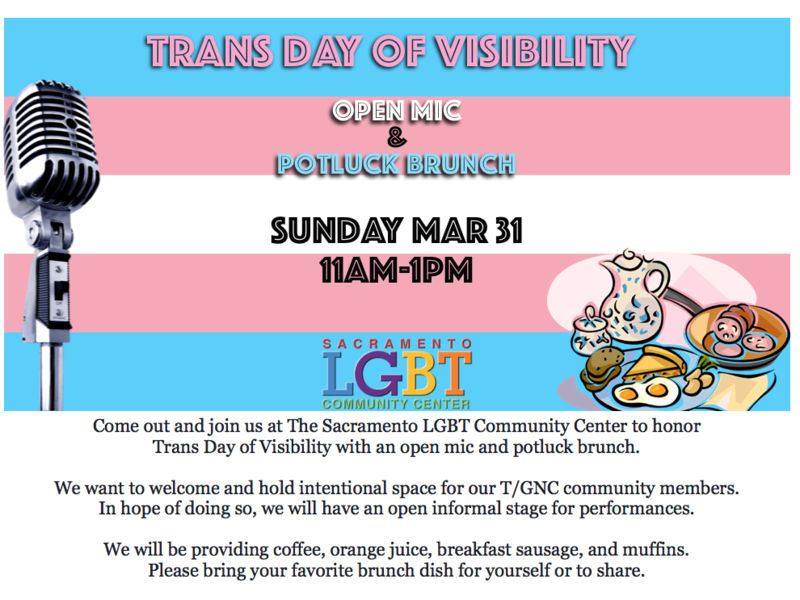 Stay tuned all week as we introduce our community to more LGBTQ history-makers. 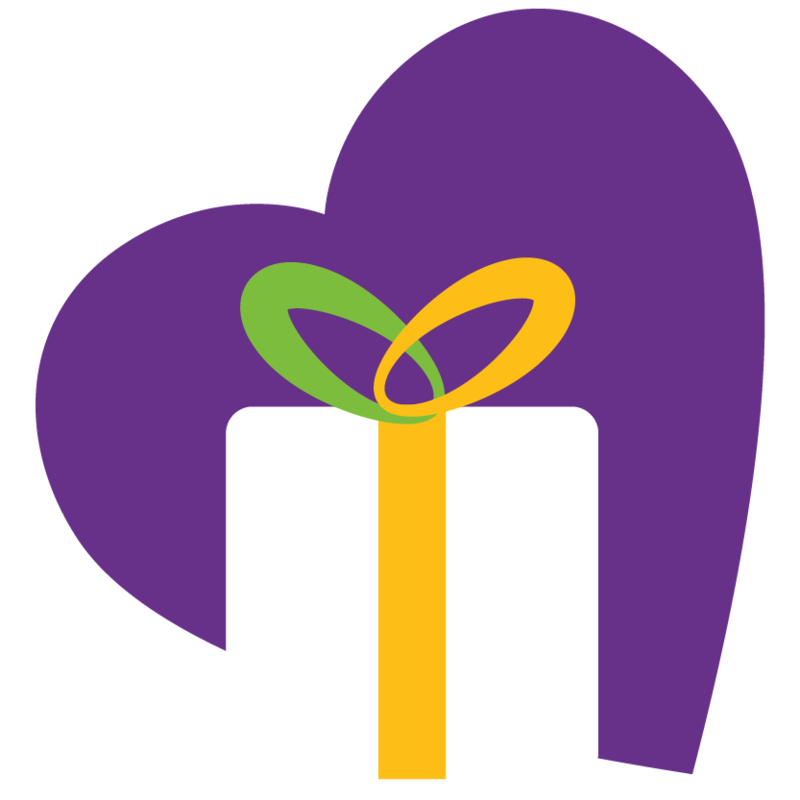 If you aren’t already getting our newsletter in your inbox, let’s change that right now. 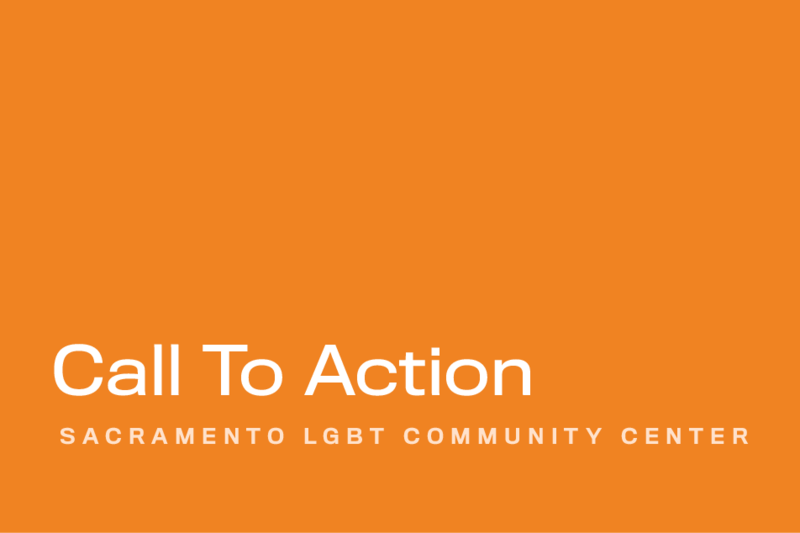 Click here and get calendar event, breaking news and calls to action for our community.